I have been dying to do a water marble manicure for ages and ages, ever since Colette from My Simple Little Pleasures has been showing her great ones. If you ever want to see some awesome video tutorials and ideas definitely check her out. 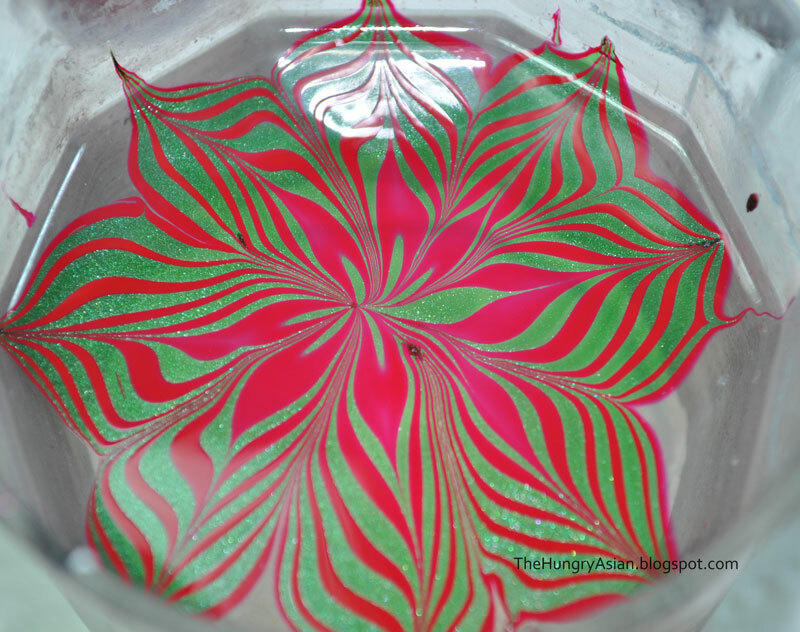 I saw her Poinsettia water marble and knew I would have to try it. This is a test run I did in my glass I don't have white in here obviously but you get the idea for the pattern. 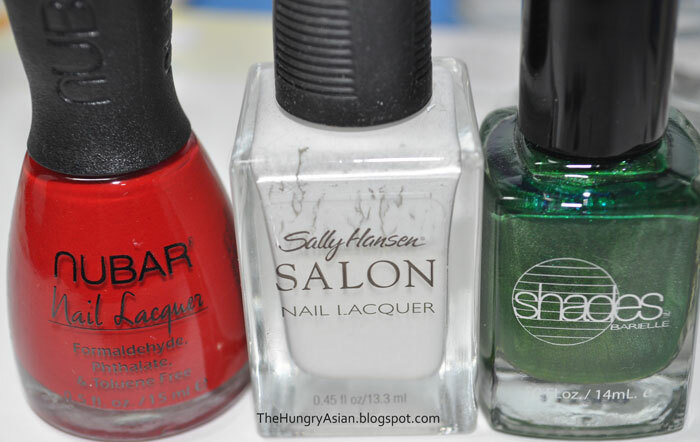 What I used: Nubar Competition Red, SH All The White Stuff and Barielle Date Night. Can you believe I actually tried to line up each nail to look the same? I also could not even get the pointy part on my nail lol. Oh well for my first full manicure it came out better than expected. 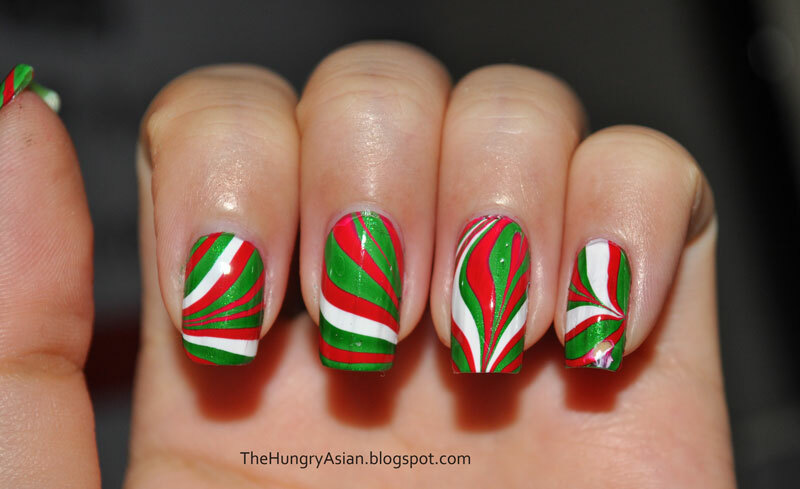 They look like candy canes!